What is consistency? What is faithfulness? What is reliability? We know when we see it, and we know when we don’t see it–right? When your car only starts about every third day, it’s not faithful. When your mailman delivers your mail only one day a week, he’s not reliable. When your refrigerator stops working on random days, it’s not consistent. When your employees show up only when they feel like it, they’re not reliable. When you miss a couple of house payments—hey, 10 out of 12 ain’t bad, right? We see faithfulness as we observe a sleep-deprived mother get up with her newborn . . . an athlete who keeps coming back, in spite of pain and injury . . . the parent or child who keeps loving, though they’ve been treated like dirt . . . a life that gets tough, tired or troubled, but they still serve Jesus. The Bible is full of exhortations to be faithful. But the most consistent person that ever lived was Jesus Christ. I believe all of us want to be consistent–the question is how? How do we continue to grow when life is hard? How will we keep our commitments? How will we live for Christ, and not compromise in a world that hates Him? How will we still seek God when our friends or family are not around? The answer is found in Daniel 6. How was the Medo-Persian government set up? There was a king, an unbreakable set of laws, satraps and commissioners, much like having a president, a constitution and a congress. A satrap was a Persian official who would rule over a large province, and each commissioner oversaw about 40 satraps. Then the commissioners would report directly to the king. Now look at what Daniel (almost age 90) is doing in verse 3, “Then this Daniel began distinguishing himself among the commissioners and satraps because he possessed an extraordinary spirit, and the king planned to appoint him over the entire kingdom.” The Hebrew “distinguish” means to excel–top of the class. And “an extraordinary spirit” means excellent, with a root idea of excess. Daniel is way over the top. Not only did Daniel have experience, wisdom, proven leadership ability, humility and supernatural abilities–he also had a great attitude, an extraordinary spirit. The text never hints that Daniel was ever jealous, or even threatened by the other leaders–but he continued to maintain a positive, winsome and teachable attitude. What kind of attitude do you have in the morning? Are you one who wakes up saying, “Good morning, Lord!” Or is it, “Good lord, it’s morning!” What kind of attitude do you display at work? Are you easy to work with, and enjoyable to be around–dare I say fun? Do you show a willingness to learn? Or is your attitude toward your employer and fellow employees scarred by personal grudges, feelings of resentment and envious thoughts? When a giant attacks, is your attitude like Israel with Goliath–he’s so big, we’ll never kill him? Or like David with Goliath–he’s so big, I can’t miss? Part of the success of Daniel, or any Christian, is your attitude. And attitude is a choice. Attitude is a choice! Say it with me, attitude is a choice! Being a student who is bored, or sullen, or indifferent is sin. Getting older and turning into a sour, negative, critical curmudgeon is sin. Being a grouch, a cynic, a fault-finder, sharing only problems is sin. You can’t have a bad attitude and be obedient to the three commands in 1 Thessalonians 5:16 to 18, “Rejoice always;17 pray without ceasing;18 in everything give thanks; for this is God’s will for you in Christ Jesus.” What kind of attitude choices are you making? Daniel is going to be made the number one man next to the king. But with his success also comes some danger. Daniel is going to be promoted, but the other leaders don’t like it at all. Look at verse 4, “Then the commissioners and satraps began trying to find a ground of accusation against Daniel in regard to government affairs.” Daniel had a great attitude. He was not jealous of the other top men of the kingdom. Daniel wasn’t selfish, he didn’t want all for himself, but others did. Often the problem we see in others is actually our problem. As we have one finger pointing at someone else, there are three fingers more pointing right back at us. The struggle we often have with one or more of our children is that they are merely little versions of us. When they push our buttons, they are manifesting our weaknesses, and we do not enjoy them holding up a mirror pointing out our sins. The very things we find wrong in others is often what’s wrong with us. Now look at the rest of verse 4, “But they could find no ground of accusation or evidence of corruption, inasmuch as he was faithful, and no negligence or corruption was to be found in him.” Wow, Daniel had no Watergates, no skeletons in his closet, no F’s on his report card, no scandals for People Magazine to report. Daniel was the same at work and at home. You could not bribe Daniel–he didn’t have a price. He couldn’t be bought. Daniel was honest, genuine, sincere and faithful. The Hebrew words in verse 4 give you the idea that nothing was out of place, nothing was missing, there were no hidden areas of compromise. If Daniel were to be put on trial, no matter how many witnesses were brought forward, they’d find no legitimate accusation or any evidence of corruption. Daniel was faithful. Daniel had no obvious sins of omission–no negligence with things he didn’t do but should have. And Daniel had no obvious sins of commission–no corruption in things he did do, but shouldn’t have. Could your job performance withstand the same intense scrutiny Daniel experienced? If not, get accountable, work dependent upon the Spirit in prayer and filled with the Word of God, and pray to become a responsible, hard-working employee for the glory of God. Single women–only marry a man who lives the Word and works hard. Work, go to school, and manage the home as if you are working directly for Jesus Christ, because in reality you are. Daniel did so well, they had to take a different route in order to trap him. The plot thickens in verse 5, “Then these men said, ‘We shall not find any ground of accusation against this Daniel unless we find it against him with regard to the law of his God.’” When people can’t condemn you for anything except for the fact that you are sold out for Christ, then you are fulfilling the New Testament principle of suffering “for righteousness sake.” When you lose out, not for being a poor worker with a bad attitude, but because you refuse to compromise God’s Word, then you’re suffering the way God promised in 2 Timothy 3:12, “All who desire to live godly in Christ Jesus will be persecuted.” That’s a promise. So what is their evil plan for Daniel? Have you ever heard of Queen for a Day? That was a very old TV show, a lot like American Idol, where the contestant was a star. Well, verses 6 to 9 tell us the other leaders got together without Daniel, went to the king, and proposed that the king be made God for a month. Then if someone prayed to anyone other than the king during that month, they would be cast into a den of hungry lions. And with sweet talk, these jealous leaders manipulate the king into signing a “Worship the king only” law. The king gets puffed up with pride, verse 6, their flattery fed the king’s pride, “Oh Darius live forever!” They tried to convince the king that this law was best for him, when actually it was best for them. Just like the world, which is self-seeking, full of lies, and full of pride–these men manipulate. So the king saw this as an opportunity to unify and solidify his kingdom. And this law and all Medo-Persian law could not be changed. Once any law of the Medes and Persians was established, it was binding. Nebuchadnezzar in Babylon could dictate any direction and overturn any law, but not the Medes and Persians. Sadly, verse 9 tells us King Darius signed this proposal into law. What would you do? Would you pray to Darius? Would you stop praying to the Lord Jesus Christ? It’s only for a month. And I have heard that if you’re chewed on by lions, it’s usually fatal. The leaders know they have Daniel now. They trapped him with his relationship to God. They’ve got him, because they know he’ll not compromise the Word of God. What did Daniel do? Daniel was faithful in all things, because he was first faithful to his God. This will happen to you too. When you decide to follow the Lord, no matter what, that decision is going to be tested. When did Jesus begin His public ministry–after what event? His Baptism. Then when was He tempted? Right after His baptism. When you decide to live for Christ and obey His Word in all things, you’re going to be tested. How did Daniel remain consistent? How did he continue with a great attitude, a faithful walk, and personal purity? It was his quiet time, as he had been doing previously. His relationship was strong with God because he spent time with His God. 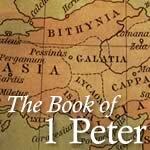 He passed the test because He had continual divine resources on which to draw in order to pass the test. What kind of friend doesn’t spend time with you? What kind of friend does invest time with you? Whose gonna help you be consistent? Then where should you be every day? Now, I know some of you are struggling here. You say you’ve tried, but maybe you’ve tried the wrong way. Some start at the beginning: Genesis, Exodus, and die in Leviticus. Try a book, practical paragraph, or chapter a day. Some say 30 minutes is too long, 20 minutes is too long, 10 minutes is okay. Try seven minutes–do this . . . read a paragraph, then ask God to give you understanding. Pray using the ACTS acrostic (Adoration, Confession, Thanksgiving, Supplication). Re-read your paragraph until you have a truth to live by that day. Get a brother or sister to help you, and do it. Daniel’s secret was staying close to God, who is the only one who can keep you consistent. Do you meet with your Heavenly Father daily, or only during emergencies? Have you made prayer and the Word (the tools of your relationship with Jesus), the number one priority in your life? Because Daniel chose to develop and maintain a consistent walk with the Lord, he did not panic when his faith and life were on the line. Rather, he turned to God as he always had, and placed his burdens in the Lords hands. The Hebrew word for distressed has a displeased, bad taste to it. The king was a little hot at himself, and those men, for this set-up. The word rescue is the king doing everything he can to extricate Daniel. Yet the law couldn’t be changed. Verse 16a says, “Then the king gave orders, and Daniel was brought in and cast into the lions’ den.” I have seen two stuffed lions in the Field Museum of Chicago that actually killed over 120 people, and were made famous by the movie, The Ghost and the Darkness. I’ve read a lot about lions–I know how they hunt, how they kill, how their roar is so deep that it temporarily paralyzes you. I have been 20 feet from lions in the wild who have just finished eating. Lions are to be respected in every way. Verse 16 is describing real lions, and lots of them, purposely starved in order to be used as executioners. And this group of hungry lions was placed in a den. The Aramaic word for den would be translated dig or pit. A den was most likely a cave or pit in the side of a hill, blocked at the entrance, but a hole was made at the top, covered with a grate or a lid in order to drop or lower people in. But as Daniel is put in, listen to what the king says in verse 16, “The king spoke and said to Daniel, ‘Your God whom you constantly serve will Himself deliver you.’” Even the king recognized Daniel as faithful. In the period of two short years, Daniel had already demonstrated to this Medo-Persian king through his life and his lips, that there is only one true God. King Darius saw the God of Daniel through consistency. What a great motivation for us to live faithfully so our lost neighbors, employers, family and friends can see that Christ is real. And the key to that kind of life is found as Christ lives through you, as Galatians 2:20 says, “It is no longer I who live, but Christ lives in me.” As we live dependently upon the Spirit of God, filled with the Word, saturated in prayer, it is Christ who lives through me. So what happens to Daniel and the king? Verses 17 and 18, “And a stone was brought and laid over the mouth of the den; and the king sealed it with his own signet ring and with the signet rings of his nobles, so that nothing might be changed in regard to Daniel. 18 Then the king went off to his palace and spent the night fasting, and no entertainment was brought before him; and his sleep fled from him.” What a night that must have been. We all know what it’s like to not sleep. Maybe you’ve lost sleep because you were anxious about something, ate too much, or were sick. But some of you know what it is like not to sleep because you are overwhelmed for the safety of a friend, a spouse or often a child. That is what the king is suffering through here–it’s tough. Verse 23 tells us, “Then the king was very pleased and gave orders for Daniel to be taken up out of the den. So Daniel was taken up out of the den, and no injury whatever was found on him, because he had trusted in his God.” Now for you skeptical, doubting, cynical types who come up with bogus theories like the lions weren’t hungry–there were only two young lions–or the lions were too old and couldn’t find Daniel, like Clarence the cross-eyed lion–or Daniel was able to hide in a crack and avoid being killed. God makes sure we know exactly what Daniel was facing. Verse 24 says, “The king then gave orders, and they brought those men who had maliciously accused Daniel, and they cast them, their children, and their wives into the lions’ den; and they had not reached the bottom of the den before the lions overpowered them and crushed all their bones.” OUCH! There must have been a tremendous number of hungry lions for this to happen. 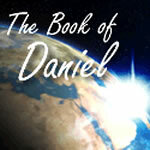 God performed a miracle in preserving Daniel. And because of the laws of the Medes and Persians–the very laws used by the jealous leaders against Daniel brought about the fate of their own families, for Persian law states, on account of the guilt of one, all his kindred must perish. So why did this happen? To bring glory to God–to proclaim His great name. Darius writes to the entire world in verses 25-27, and as he does, he points out three fantastic truths. Verse 25 to 26a, “Then Darius the king wrote to all the peoples, nations, and men of every language who were living in all the land: ‘May your peace abound! 26 I make a decree that in all the dominion of my kingdom men are to fear and tremble before the God of Daniel.’” Can you believe it? One man literally affected the entire empire. Now the entire Medo-Persian Empire has been commanded to tremble before the God of Daniel. Hey–it doesn’t take a lot of people to make an impact for Christ. It just takes the right kind. Darius also points to . . .
Verse 26b, “’For He is the living God and enduring forever, and His kingdom is one which will not be destroyed, and His dominion will be forever.’” Darius now knows who is in control and that nothing can stop the will or rule of the only true God. (Do you believe that?) Darius thirdly points to . . .
Verse 27, “’He delivers and rescues and performs signs and wonders in heaven and on earth, Who has also delivered Daniel from the power of the lions.’” Who really gets the glory in this chapter? Is it Daniel? Darius? No, it’s the Lord, who is the Sovereign and the Savior. God rescued Daniel, and He is prepared to rescue you, if you respond to His working in your heart and surrender your life to Him. John 14:6, “Jesus said …’I am the way, and the truth, and the life; no one comes to the Father, but through Me.’” You must depend by faith on Christ alone to be forgiven now, and be ready for heaven–and you must in repentance turn to Christ alone to be rescued now, and be able to enter heaven. So what has Daniel living faithfully, being trapped unjustly, and being tossed in a lions’ den heartlessly and ultimately spared miraculously meant to you? Let me share with you some of what this chapter meant to me. 1 When persecuted falsely, trust God for deliverance. He may not always provide release when you want it or in the way you expect it, but He will always free you at the best time, and in the best way. 2 When treated unjustly, wait for God to vindicate. He may not demonstrate your innocence as dramatically as He did with Daniel, but the Lord will make righteousness prevail according to His perfect plan. 4 When suffering unfairly, let God use you to make Himself known. Daniel’s faith testified to Darius, the Medo-Persian politicians, and the entire empire of Medo-Persia that God is the eternal, all-powerful, and sovereign ruler over all. The Lord can use your trust in Him to glorify Himself, and bring others to a living relationship with Him, if you live the way Daniel did. How did Daniel live? What kind of life makes a difference? What kind of lifestyle impacts a school, a neighborhood, or a workplace? What are the elements of character that by God’s grace, we can seek to develop in our own lives? By God’s grace, we can become a congregation of Daniels and impact our world for the glory of God, but . . . I hope each of you knows that you will seldom receive what you deserve from people. Whether honor or criticism, the world usually will not pay you what is due. Yet you will always receive what’s best from God. Although it may not be according to our timetable, God will always supply us with what we need. So we should not doubt Him. So our ability to handle the ups and downs of life is directly related to the consistency of our walk with God. Only if we have stability in our relationship with the Lord will we be able to accept man’s unfair treatment and criticism, and wait for God’s blessings. And that only comes with regular time in His Word and prayer. That is the key to consistency. I had a dad who loved to go to the beach, and he always took us three kids with him. The ocean can be a very dangerous place, with high waves and riptides, and vampire crabs, and sharks. But if I swam near my dad, I was always safe–for if I got in trouble, he was such a strong swimmer, he was able to hold me up and I could rest on him until I was okay or ashore. I never drowned or even came close, because I was near my dad. I only got in trouble when I drifted away from him. If you are going to survive the ocean of this world, you must stay close to your heavenly dad. If you’re in trouble, He will hold you up. If you’re in danger, it is because you’ve drifted away. The key to consistency is remaining close to Jesus.